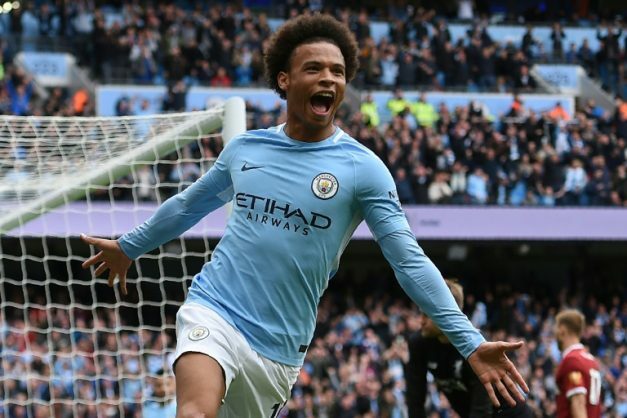 Leroy Sane has thanked Manchester City manager Pep Guardiola for helping him overcome his World Cup heartbreak. The City forward, who was a key member of Guardiola’s Premier League title-winning side last season, was left stunned by Germany coach Joachim Low’s decision to omit him from the squad for the tournament in Russia. It was a move which backfired for Low after his side failed to exit the group stages, leaving many to question the wisdom of leaving out a player who scored 10 goals and provided 15 assists in a campaign which ended with him being named as the Football Association young player of the year. Yet with the Euro 2020 qualifiers on the horizon, Sane, who refused to comment on the Mezut Ozil racism scandal which has engulfed German football, believes he will have a chance to resurrect his international career under Guardiola’s guidance. “Yes, Pep had a chat with me after it happened,” said Sane, when asked about his shock omission from Germany’s squad. “We talked about everything and how my mind was and now we are just looking forward. “I was disappointed but from that moment and now I’m just looking forward. I’m just preparing to be ready for the start of the new season. It gives you motivation. It would be a dream to play in the World Cup. “When I watched the World Cup I had the feeling that I wanted to be there. But I’m 22 and I still have a lot of years to prepare. “I was disappointed at the time – it was really hard for the first week. It’s just made me want to come back really strong. Sane took no joy in seeing his country suffer, despite experiencing such a difficult personal setback. “I was disappointed for them too because some of them are my friends and I’ve played with them before, “ he added. With Sane fresh after a summer break and one of the few first team regulars on duty for City’s pre-season tour of the United States, Guardiola will at least have the German ready for the Premier League season opener at Arsenal on August 12th. “A lot of the players went really far in the World Cup. I was really happy for them – especially Ben (Mendy) because he won it,” said Sane. “I’m happy Riyad is here. Every time we played Leicester and he had the ball, I was like ‘ok please don’t do anything creative’.